Can super-insects be used to fight off a global mosquito-led pandemic? This is the question to which the world awoke last week as the World Health Organisation (WHO) announced it is exploring “novel approaches” to fight against a potentially disastrous disease outbreak. So what exactly are the facts of the case and how likely is it that the Zika virus is as serious as the media makes it out to be? The Aedes aegypti mosquito has long been humanity’s foe. Originating in Africa and with characteristic white markings on its legs and upper thorax, this mosquito is now found across the globe and considered to be among the most widespread of mosquito species. Known in the scientific world as a ‘vector’, the female mosquito, attracted by chemical compounds that we naturally exude, feeds on human blood to nurture her eggs. Breeding in stagnant water, these natural vampires are responsible for the spread of dengue and yellow fever and now the emergent Zika strain. Yellow fever already affects 200,000 people a year, causing 30,000 deaths annually, of which 90 percent are in Africa. The incidence of dengue, on the other hand, has increased 30-fold over the last 50 years; with up to 50-100 million infections occurring annually in over 100 endemic countries, putting almost half of the world’s population at risk. And now the very same vector responsible for these calamities is also the carrier for this new strain of disease. Belonging to the family known as a flavivirus, Zika was first isolated in an Ugandan monkey in 1947. First seen in humans in 1952, symptoms of the disease include mild fever, skin rashes, conjunctivitis, muscle and joint pain, malaise and headache, lasting anywhere between two to seven days and only affecting around 20 percent of the people infected by the vector. Since the 1950s, the virus has been known to occur within a narrow equatorial belt from Africa to Asia. Then in 2014, the virus began to spread eastward across the Pacific Ocean to French Polynesia, then to Easter Island and in 2015 it arrived in Mexico, Central America, the Caribbean, and South America, where it has now reached pandemic levels and upgraded to a global treat by the concerned authorities. Zika itself has no vaccine and its treatment is usually symptomatic and supportive in nature. Unlike the other strains in this viral family, the disease itself is usually mild and self-limiting, or so we thought. It was not until this recent outbreak, which arrived in Brazil in May 2015, in which the far worse consequences of the disease began to be highlighted. 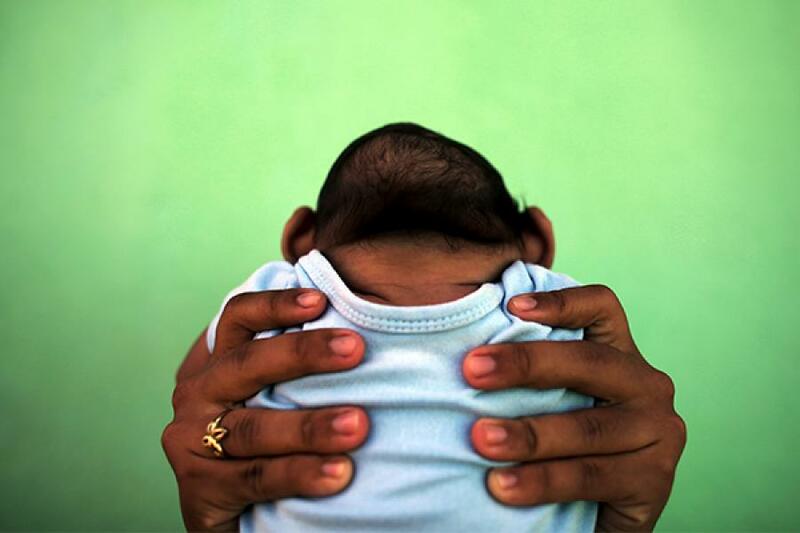 It was in Pernambuco, one of Brazil’s north-eastern states, in which doctors suddenly noticed a huge spike in the cases of children born with microcephaly—an abnormally small head, often with consequent severe brain damage. Since October of last year more than 3,500 cases of microcephaly have been reported in Brazil, compared with fewer than 200 a year in the five years before 2015. On the 15th of January 2016 America’s Center for Disease Control and Prevention (CDC) announced that pregnant women should not travel to countries where Zika is prevalent. After none of the known causes of this neurological condition were found, CDC scientists identified the virus in four Brazilian babies with microcephaly who had died in the womb or shortly after birth, as well as isolating the virus in the amniotic fluid of women carrying foetuses with microcephaly. In Central and South America, the WHO estimates the virus has already infected 3 to 4 million people, a large proportion of whom are female and of child-bearing age. Visiting the CDC website will reveal a list of 30 countries and territories that are affected by the virus where pregnant women are advised not to travel. Unfortunately, this is not the entire story. As of last week, scientists in Brazil and El Salvador started to piece together clues that highlighted a sudden surge in severe neurological and autoimmune problems, including Guillain-Barré syndrome, a disease that can lead to paralysis and death. The exact causality related to whether Zika is responsible for this is likely to take some time, but the trend is worrying. An even greater concern now is that there is a high likelihood that the virus could spread through sexual contact too. This week there have been two confirmed and four probable cases of sexual transmission of the Zika virus, reported to the CDC by health officials from multiple states in the US. At this point it seems as though all the cases have been from symptomatic males to their female partners and not the reverse, however given the likelihood to the viral association with congenital disorders, this further compounds an already growing public health concern - enough for Pope Francis to controversially suggest that the use of contraceptives was acceptable, in order to avoid the spread of Zika, despite the church’s longstanding ban on most forms of birth control. The world has started work on a vaccine, but unlike Ebola, which had potential treatment lines under development for almost a decade before the virus broke, with Zika the scientists are pretty much at ground zero. With the only effective tools to combat its spread being sound vector control measures like insecticides, nets and covers, scientists have started to explore the possibly of genetically modifying the aedes mosquito to be incapable of infecting people. A British company known as Oxitec has discussed creating a technique to genetically engineer the male mosquitoes to possess a specific lethal genetic mutation that causes them to die before reaching maturity. As males don’t spread the disease themselves, releasing them into the wild will be harmless. The hope is that as these modified mutated males reproduce with the females, the genetic damage shall be passed on to their offspring and thus helping wipe out the entire population of the mosquito. But amid all the alarm over the public-health emergency is a quieter menace that is slowly brewing globally, the economic loss and hardship that this virus could reap. 2016 is the year for Rio, the greatest show on the Earth, the Olympics are barley six months away. With approximately 16,000 athletes and 6,00,000 visitors expected to visit Brazil for the Olympics, 200,000 of whom will be from North America alone, researchers are scrambling to figure how much of a risk the Games may pose in spreading the Zika virus around the world. This problem may be especially compounded by the fact that the games take place in summer, a time when mosquitoes are more prevalent and the ability of the disease to infect others increase when the travellers return home. Using worldwide temperature profiles and air travel routes, researchers at Oxford University have estimated that more than 60 percent of the population of the United States lives in areas where Zika can be transmitted during the Northern Hemisphere’s summer, 23 million of which in parts of the country that are susceptible all year round. Recognising the potential scale of the problem, President Barack Obama has already asked the US Congress for $1.8 billion in emergency funding to help combat the epidemic both at home and overseas. Whilst prominent voices have called on Brazil and the International Olympic Committee (IOC) to call off this year’s games, there are no signs of this translating into reality. The Brazilian government has launched a mammoth effort to protect itself and the venues from further spread with the Brazilian President Dilma Rousseff and her cabinet ministers personally visiting the homes of three million residents across almost 400 towns across the country, and handing out leaflets along with 220,000 troops. Interestingly global tourists flocking for the Rio Carnival last week were at their usual high, with 90 percent hotel occupancy across the city and international airlines, many of which are offering refunds to pregnant women, say they have also experienced little fallout from the virus so far, perhaps indicating that travellers are less weary than research suggested. One thing is certain, 2016 is going to be a very big test for public health systems across the world. Whilst we may have learnt plenty of lessons from the Ebola outbreak across Africa last year, Zika brings with it a unique set of problems, both on the humanitarian side as well as the economic one. Let’s hope the world can act in unison and help prevent yet another potential global catastrophe.